CAT Scientific has been manufacturing high performance laboratory equipment in Germany for 40 years, and employs a team of 50 dedicated staff members in development, design, assembly and quality control roles, with subsidiaries in both the Netherlands and USA. CAT products are sold worldwide, and great attention to detail is paid in order to offer premium quality. The majority of high precision components used in CAT products are manufactured in-house. 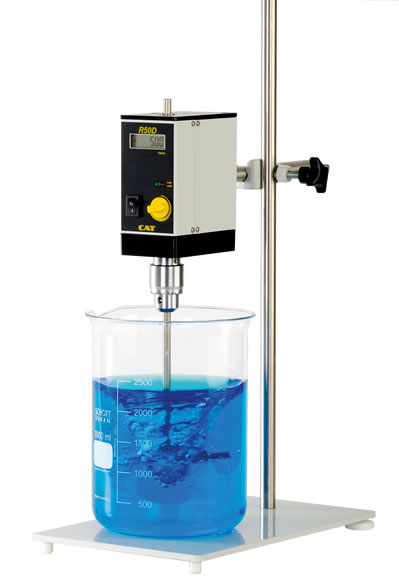 CAT Scientific manufacture high quality microprocessor controlled overhead stirrers, efficient homogenisers and magnetic stirrers. In addition, heaters and shakers are also part of the CAT range of products, which are all covered by a two-year warranty, with full technical and sales support available from Labtex. The CAT range of powerful overhead mixers and stirrers are suitable for a wide range of laboratory and industrial applications. Whether you need a handheld stirrer for small tasks or a heavy duty stirrer for larger projects, the CAT range offers high power mixing for most professional requirements. CAT magnetic stirrers are made with high quality, robust materials which make them ideal for a variety of professional laboratory applications. The hotplates feature heating coils embedded in stainless steel tubing for increased safety, and the motors employ electronic feed-back speed control. The magnetic stirrers all feature powerful magnets for maximum performance, even with a viscous medium. A most units feature soft-start function, preventing stir bar decoupling and potentially splashing. 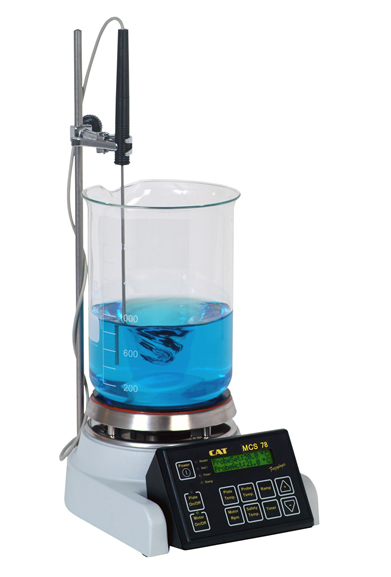 All magnetic stirrers feature an acid resistant epoxy-finished chassis, with grade 304 stainless steel cover.